Air bags are a complex system on all newer cars that help save lives and keep you safer in case of an accident. 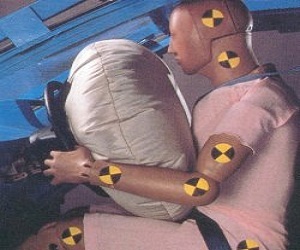 The typical system includes: air bags, crash sensors, safety restraint system (SRS) module/ computer, seat belts, and a warning lamp. In case of an accident, the air bags are designed to explode and deflate in a second. 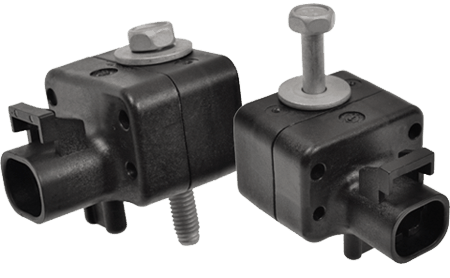 When this occurs most manufactures require sensor and module replacement as well as the airbag(s). It takes a qualified professional to properly repair these systems. Nobody would want to be driving down the street and an air bag just deploy in their face for no reason. If you see a warning lamp or have been involved in an accident, you need to bring it in and have the system checked. Guy’s Automotive in Tampa can perform airbag system repairs like: air bag, air bag module, air bag sensor, clock spring, crash sensor, pretensioner, seat belt, and side air bag replacements. Vehicles have different types of air bag systems. The typical air bag systems are frontal airbags, side airbags, and multi-stage airbags. Frontal airbag systems usually include a steering wheel air bag, a dash airbag, crash sensors, air bag module and, in some cars, an occupancy seat sensor. Side airbag systems include the frontal airbag system components but have the added benefit of side airbags and more crash sensors. In the newer cars, you also may have seatbelt pretensioners and a crash data recorder for added safety. Which ever type of air bag system you have, Guy’s Automotive can repair your airbag system with ease. Safety should be the #1 concern with any vehicle. One point to consider is the safety of others in or out of your vehicle in an accident. Driving with a faulty airbag system is careless. Airbag systems will show a warning light when there is some kind of air bag fault. Ignoring this light means your airbag system may not properly work in an accident. Faulty airbag systems cause vehicle fatalities according to the NHTSA (National Highway Traffic Safety Administration) and should not be ignored. Bring your car in to Guy’s Automotive in Tampa and have your air bag light inspected and properly repaired. Accidents happen and air bags deploy. Guy’s Automotive has a full collision repair center and can safely replace your deployed air bag systems as well as all types of body repairs caused by any collision. After airbags and air bag modules are replaced, most air bag system modules must be re calibrated or reprogrammed. Guy’s Automotive can reprogram or re-calibrate your air bag system and get your can repaired right just as the vehicle manufacturer recommends. If you are in an accident, take your car to Guy’s Automotive and let our body shop fix your car right as well as your air bag system safely. At Guy’s Automotive, we have been repairing air bag systems for years. We have the proper equipment and knowledge to work on these systems. Guy’s Automotive is the best “Auto Repair in Tampa” repair shop! !